Roslyn Kagy has joined the UW Office of Minority Affairs & Diversity (OMA&D) as director of the new GEAR UP (Gaining Early Awareness and Readiness for Undergraduate Programs) Achievers program, effective March 1. GEAR UP Achievers will serve middle and high school students in four South King County districts (Auburn, Kent, Renton and Tukwila) and was established through a seven-year, $23.4 million grant awarded to OMA&D in October, 2018. Kagy most recently served as the GEAR UP director and secondary success manager at Highline Public Schools where she managed the district’s six-year, $6.6 million GEAR UP grant. She has a longtime commitment to advancing equity in education and working with underserved communities in South King County. Funded by the U.S. Department of Education, GEAR UP is a national college readiness program designed to increase the number of low-income middle and high school students who are prepared to enter and succeed in postsecondary education. OMA&D also administers a RISE UP/SKY GEAR UP grant serving students in the Yakima and Skagit Valleys. Both programs focus on closing academic achievement gaps for students in science, technology, engineering and mathematics fields. 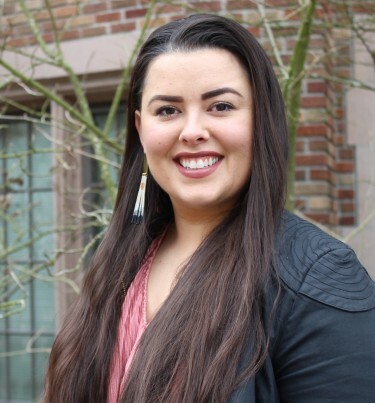 Prior to joining the Highline School District, Kagy served as the youth development manager at SOAR, a community coalition that builds partnerships to support children, youth and families across the region. She was also a youth advocate and program coordinator for New Futures and Southwest Youth and Family Services in Burien and SeaTac, and worked to increase accessibility to mental health care for immigrant and refugee families at NAVOS Mental Health, also in Burien. Kagy received a degree in education and social justice from The Evergreen State College in 2010, and attended classes at the UW Jackson School of International Studies.